While still in high school, Rodger Smith already had his sights set on radio. “Some kids say they want to be a doctor or a lawyer or a businessman when they grow up,” he says. 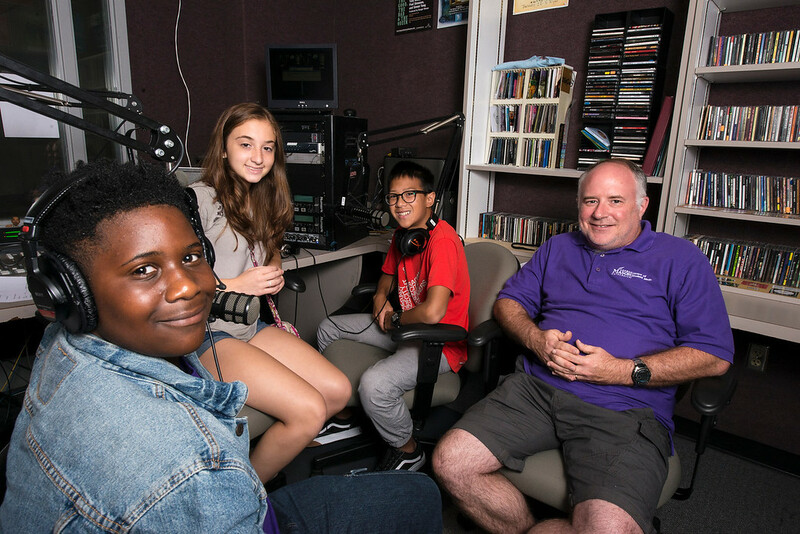 “I wanted to work in radio.” Now a faculty advisor for WGMU  radio and an instructor in the Department of Communication , Smith brings his years of passion for radio and communication to Mason students. Best Part of the Job: Some of Smith’s favorite aspects of WGMU radio are the staff and faculty members. “I work with a dedicated student staff interested in making WGMU the best student-led organization on campus and have been fortunate enough to see them excel professionally and as community leaders,” he says.